This delightful tea table, with elegant parquetry patternwork and lustrous ormolu mounts, exudes the timeless sophistication of the French Belle Epoque. 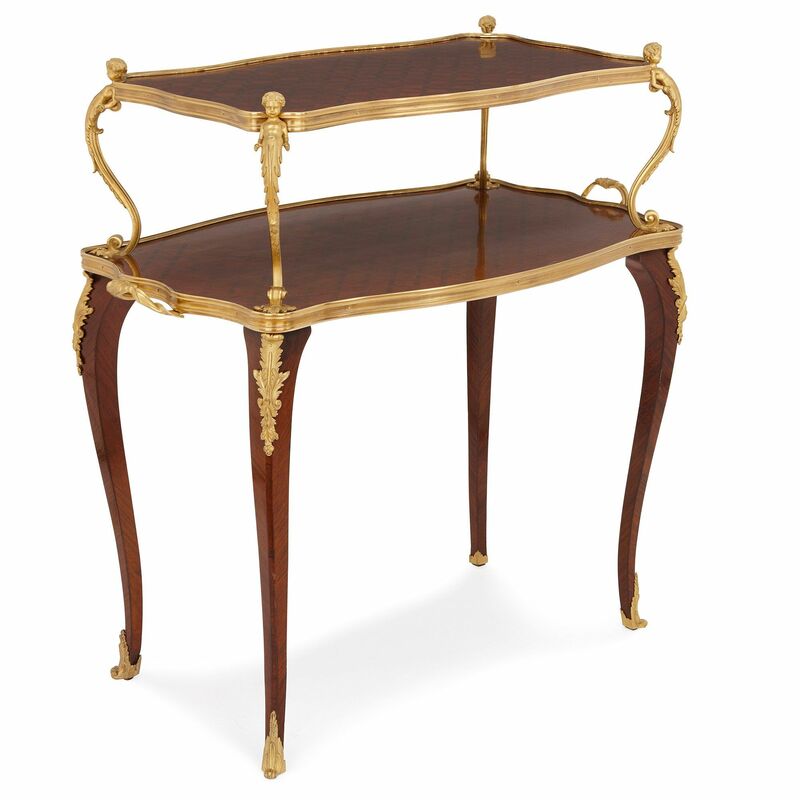 The tea table is crafted in wood and ormolu in a rectangular, bombe form. 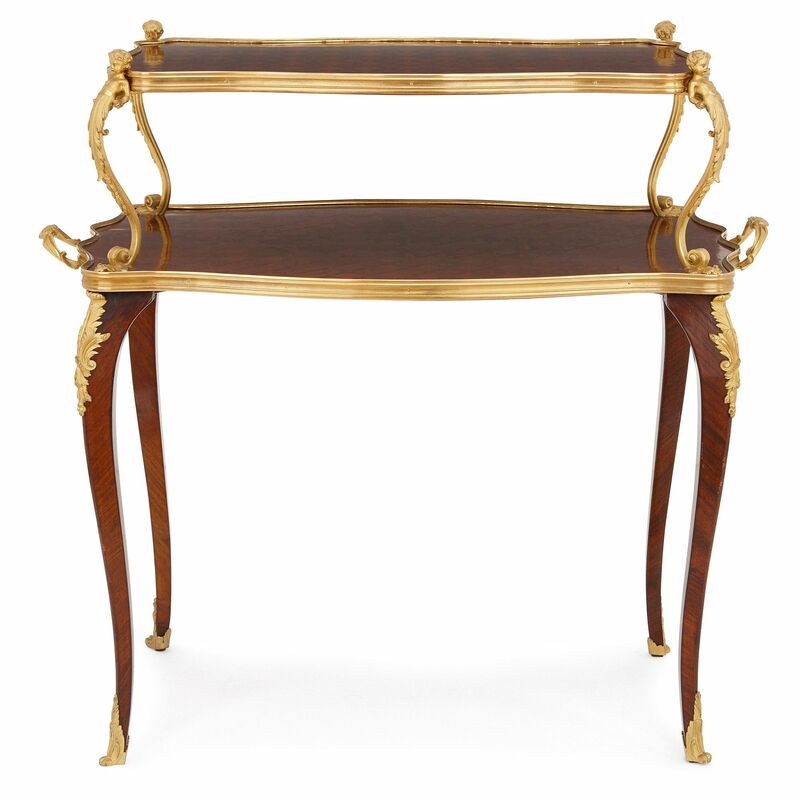 The table is set upon four gracefully curved cabriole legs. 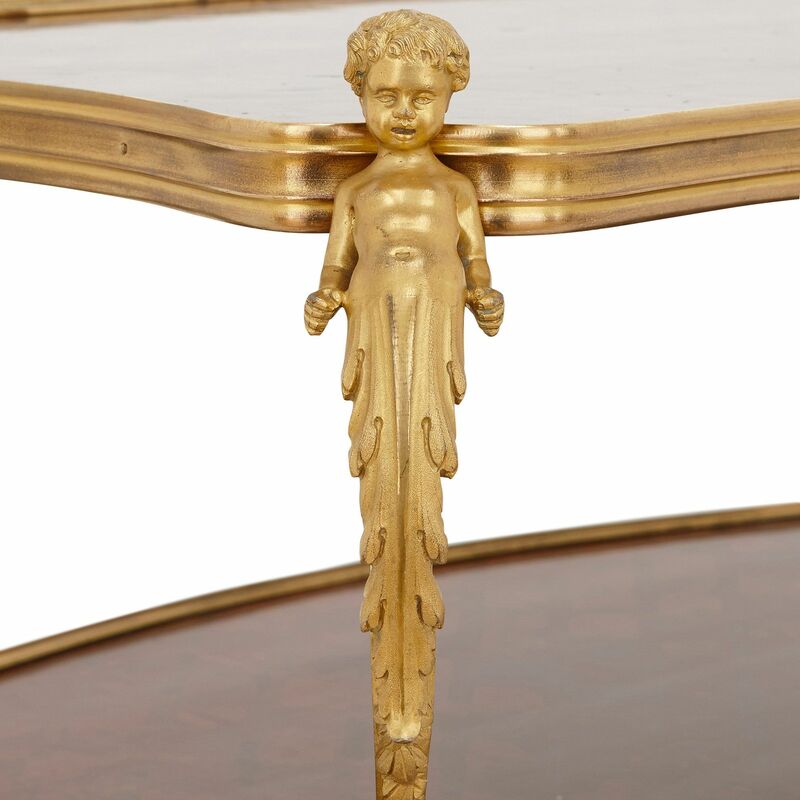 The legs terminate in ormolu hoof feet and feature ormolu mounts of acanthus leaf to the upper edge. Atop the legs, the table is formed of two tiers. 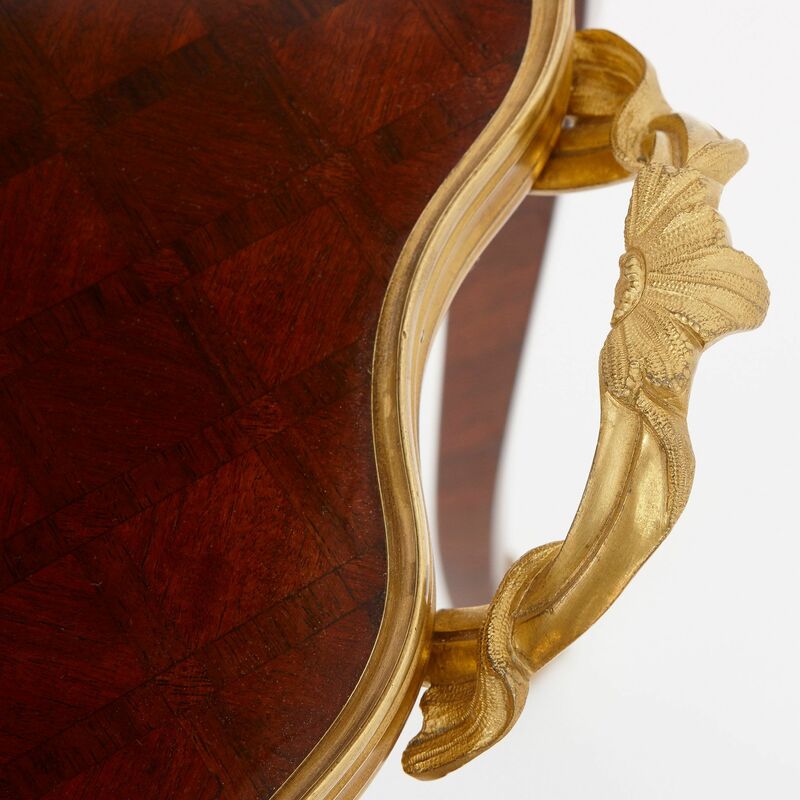 The lower tier features a curved surround which is mounted with an ormolu band and handles at either end. 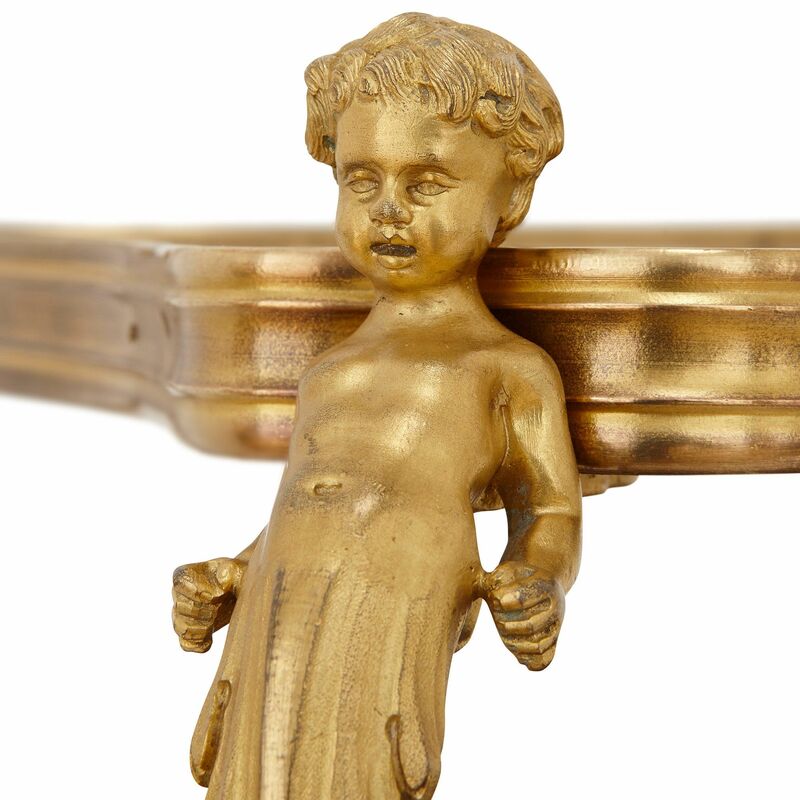 The second tier is of the same shape but slightly smaller in length and width, and is set upon the lower tier with ormolu supports that are formed as scrolling, cherub termes. 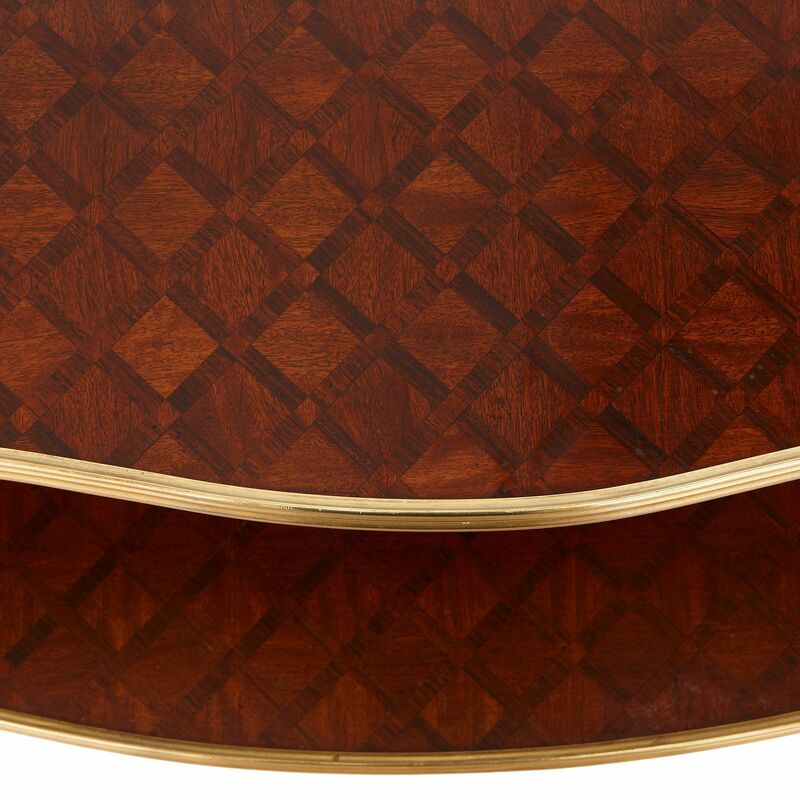 The two tiered table surfaces are decorated with chequerboard parquetry patterns.